Petrochemical/refining, industrial, pipeline services, environmental consulting, commercial retailers, and more. Earth Analytical Sciences, Inc., (EAS) is a full-service analytical testing laboratory established in 1992. It provides a high quality array of environmental services benefitting a variety of industries throughout Southeast Texas and beyond. Our clients consist of a multitude of businesses including petrochemical/refining, industrial, pipeline services, environmental consulting, commercial retailers, and more. For nearly two decades, EAS has been serving this market with the flexibility of a larger company while retaining the personal attention to meet individual needs. By guaranteeing a wide range of services and expertise, coupled with an ability to effectively evolve in a rapidly changing regulatory environment, EAS strives to be the preferred analytical service provider in the market we serve. 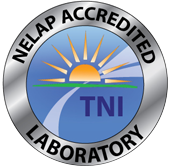 In January of 2008, EAS achieved its NELAP (National Environmental Laboratory Accreditation Program) laboratory accreditation for the State of Texas, and it is currently working to achieve accreditation in other states. From the field to the lab, we provide every client with accurate, timely, and legally defensible results.